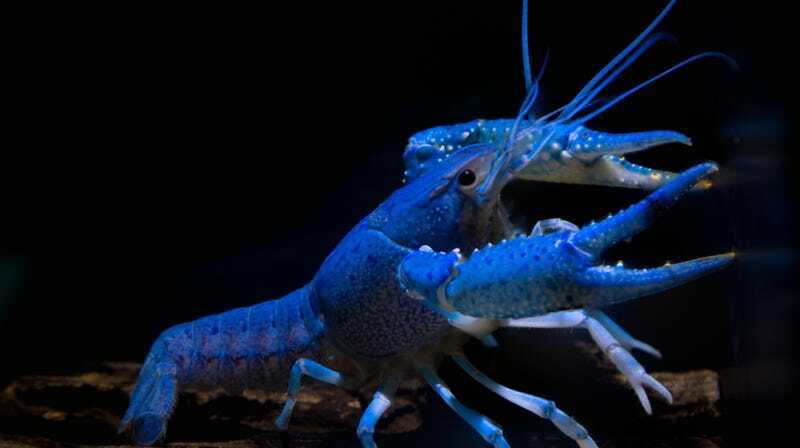 Scales restaurant in Portland, Maine, received its usual seafood delivery last Friday, but noticed an outlier among the lobsters: a rare “cotton-candy” blue lobster that the restaurant says is literally one in a million. Scales’ chefs named the 1.5-pound lobster Blue Betty—we all know what happens when you name an animal—and then decided it was “too interesting” to cook. A few days later, the Portland Press Herald reports one of the chefs, Travis Olson, volunteered to release Blue Betty back into the Casco Bay via the homemade row boat that all Maine residents are legally required to own. (It’s mandated under the L.L. Bean Act of 1927.) Olson and his wife, Anne, rowed out to Cow Island and returned Betty to the ocean. But what did Betty do in the time between arriving at Scales and her emancipation? She was, apparently, kind of a brat. Scales chef Fred Eliot told the Press Herald the lobster would snap and lunge at guests who came too close to the dining room’s lobster tank. Blue Betty is now safe to foam at the mouth in her natural habitat; honestly, we’d be concerned about another fisherman catching her for dinner if she didn’t seem to have such instinctual defenses. Somewhere, PETA certainly applauds her release.